No tears allowed, so I decided to change what I wanted my wall hanging to say...I like it much better now. Next up, I want to add a boarder to add more design. 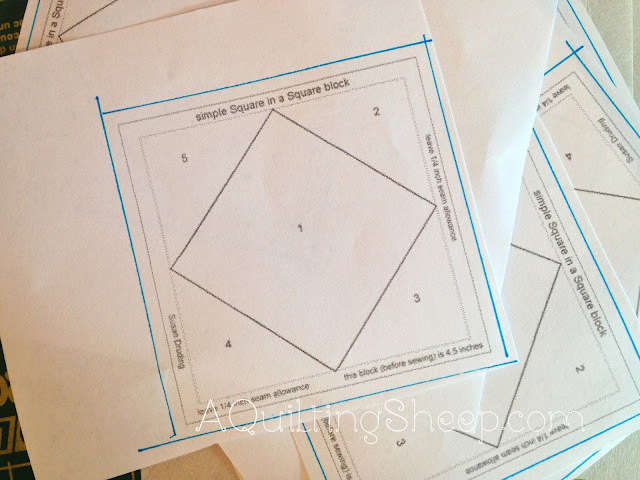 I thought about prairie points, rick rack and then I decided on paper piecing square in squares. I searched Google for a pattern and used Photoshop to resize it. I drew new lines to get the ¼" seam allowance since I don't know how to do that with Photoshop. They will finish at around 2". They are so cute! 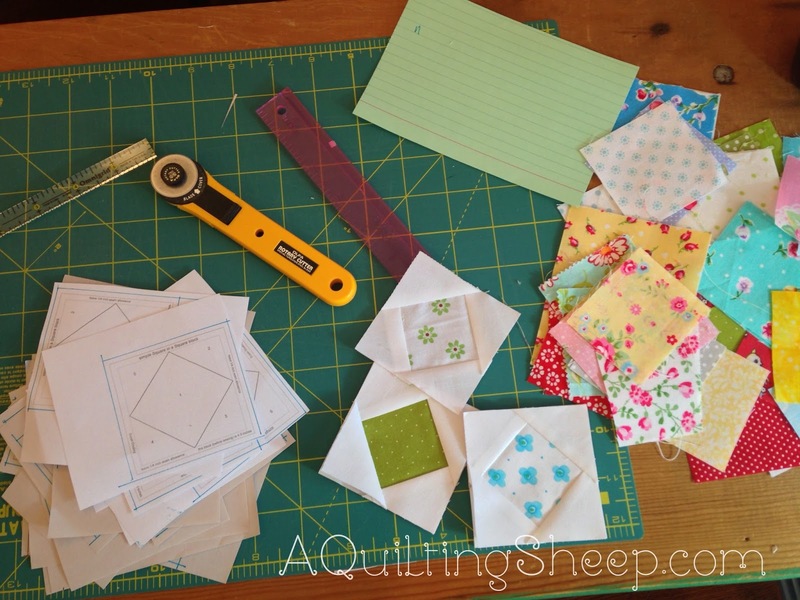 Thursday is my day to share my Wake Up to Kona blog hop project. I hope you will stop by to see what I made. I have had it done for weeks now and I am really exited to finally be able to show you. =) And if you haven't already, make sure you go check out what the other bloggers have made. You can find the schedule listed on Carol's blog. They will inspire you for sure!! Love your new sign, especially the sewing machine! Do you have a pattern for it? Your new wall hanging looks great. You go!! It looks wonderful! !...I am going over to see your project! then heading down to finish organizing my sewing area and then starting the quilt I posted on my blog....wooo hooo! Hugs!! Fallback and regroup, as my Daddy always says. The wall hanging is going to be great! I really like the square in a square border idea! Love that! I know what you mean about putting stuff down and coming back to it. Sorry about the "S" struggle. I love that alphabet, but haven't used that letter yet. Now I just hope no one has a baby with an "S" in his or her name. 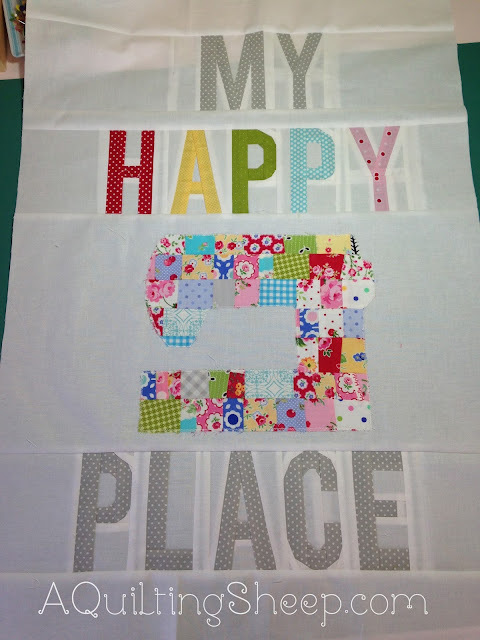 Love the end result...and the diamond in a square border. My sewing room needs more wall space.